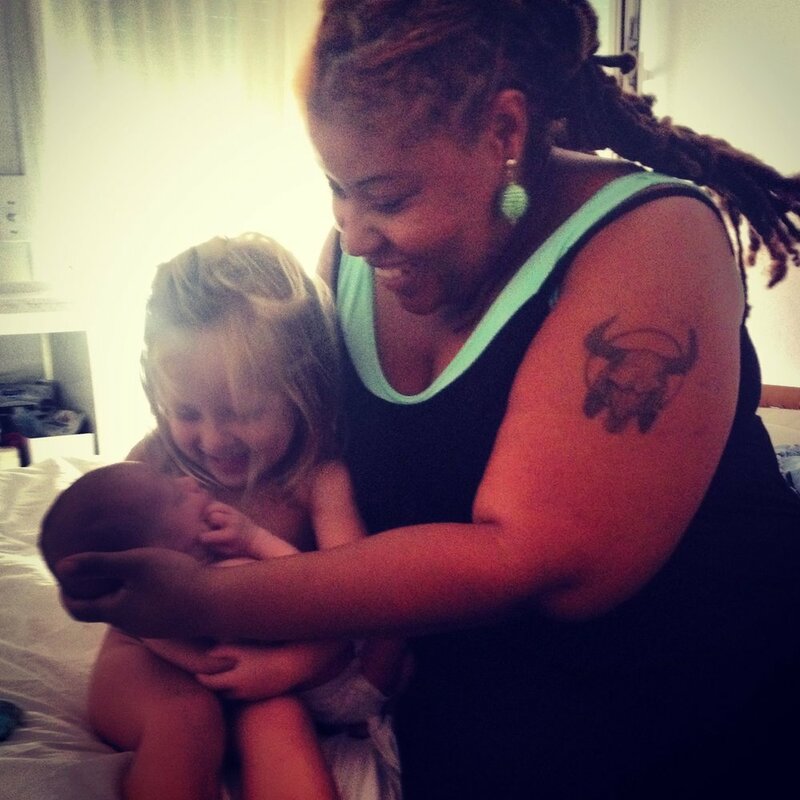 Krishinda Powers Duff, Barcelona Midwife, was my midwife for the birth of my second child. She is an awesome force, a lovely individual and the support she gave me antenatally, during labour and after my son's birth was out of this world. I had recently moved to Barcelona from London when I became pregnant. My husband works abroad for most of the week, I had an active 2-year-old to look after and limited Spanish. I wanted to have a home birth but also craved the security of a back up plan at a hospital if problems should arise. My pregnancy was very smooth but at 39 weeks, the hospital felt there was an issue with the placenta and that my baby was no longer growing at the rate it should. The hospital protocol was for me to have the baby induced and a C-section. I obviously didn’t want to do anything to put my baby at risk but wanted to do everything I could to give him the most natural possible entrance into this world. With a second opinion from another doctor and the support of my Mum, husband and Krishinda I was delighted to achieve the birth I wanted; a natural, vaginal delivery without pain relief. Krishinda was with me throughout the entire birth experience - she was such a star! My husband was amazing and so was Krishinda who helped me stay calm and in control with breathing and who told me I "could" do it. And I did! My beautiful little boy was born on the 18th July 2014 and he's called Jake Blaze O’Meally. All of his family especially his big sister Ruby were over the moon at having him join our tribe. My name is Krishinda Powers Duff. I am an independent midwife living and working in Barcelona. I have 3 teenage beautiful children. I am an orthodox Buddhist and I am 47 years old. I trained at UWE in Bristol. Midwifery to me is about supporting women to find their power. It is also about helping to create peace through birth with dignity and love. 3. What is your overall approach to midwifery? I approach my work with awe, love and professionalism. 4. What would be your top piece of advice who are pregnant and about to give birth? Please educate yourself. A good birth is not an accident. 5. If you could go back what one piece of advice would you give to your self as a first time Mum? Your best is more than good enough. 6. Who are your inspirations in terms of midwifery? Books, websites, bloggers? I am fortunate to have living breathing inspirations. Midwives like Sarah Wickham, Professor Soo Downe, Ina May Gaskin. And my wonderful teachers. 7. Finally why do you think Barcelona is such a mindful place to live? As a whole I do not think it is but there is a growing group of people who are striving to live in a mindful way. They are the pebble in the still pool. Krishinda holds weekly Coffee Morning Meet Ups for Mums and Mums to Be at Happy Milk on a Tuesday morning. She also regularly runs Happy Birth Preparation Courses in English.